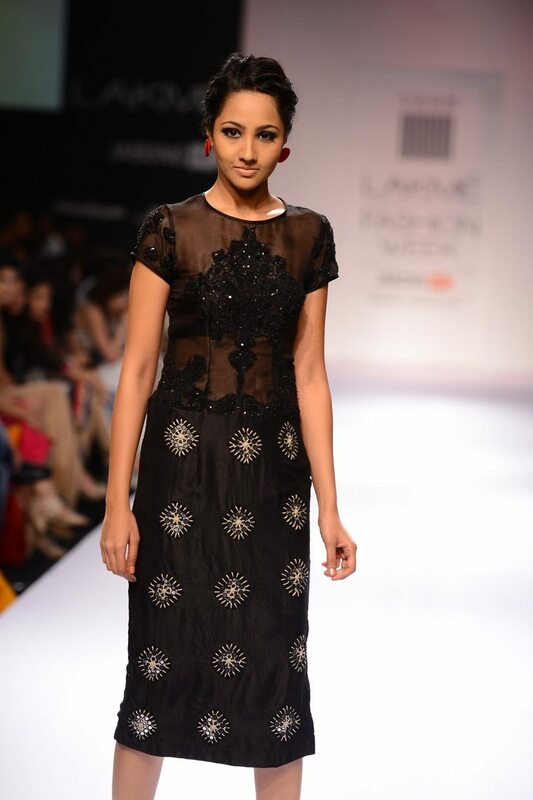 Simple and stylish ruled the ramp as designer Pallavi Singhee presented her collection ‘Verb’ at the LFW 2014. 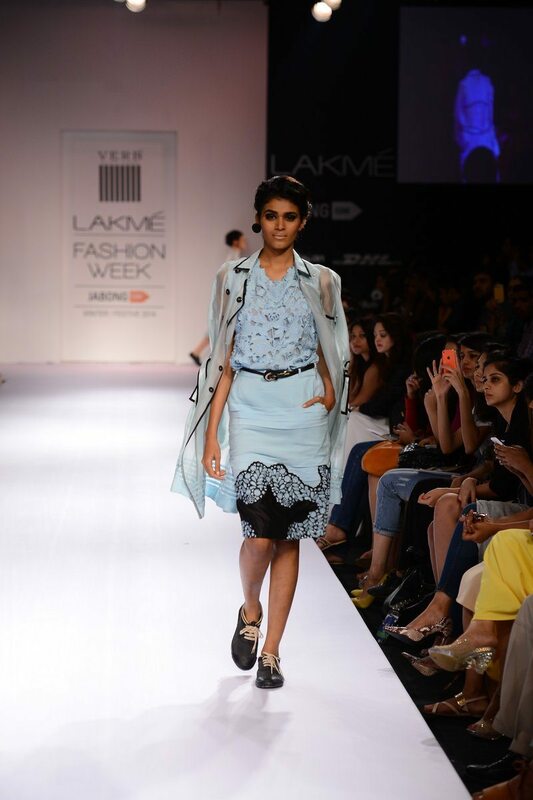 Designer Pallavi Singhee showcased her collection ‘Verb’ at the Lakme Fashion Week Winter/Festive 2014 on August 24, 2014. 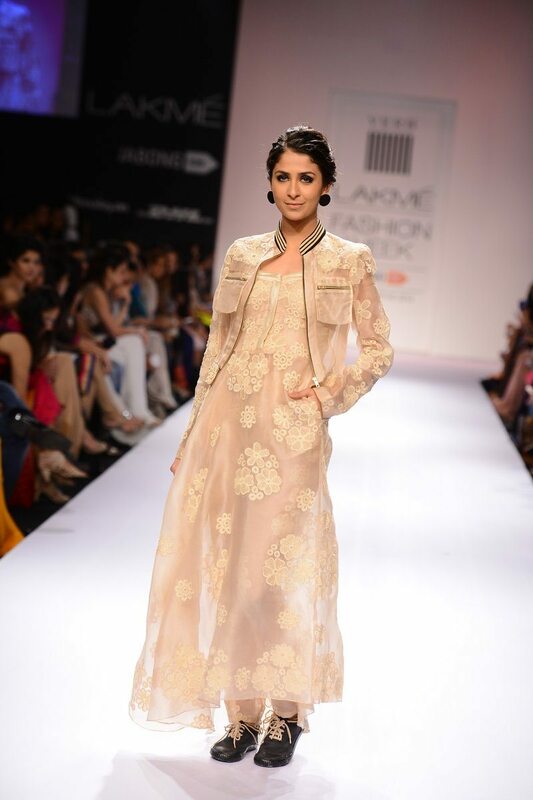 The couturier’s creation used a lot of pastel shades and trendy designs. 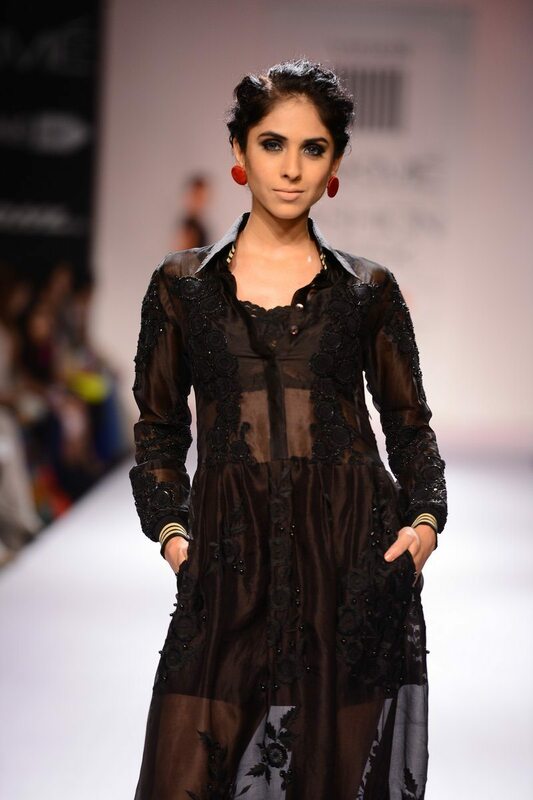 Transparent dresses, long skirts, polka dotted dresses and collage patterns gave a flirty feel to the entire collection. Prominent earring studs and quirky sneakers paired with ethnic-inspired outfits added that unique feel to the entire collection. 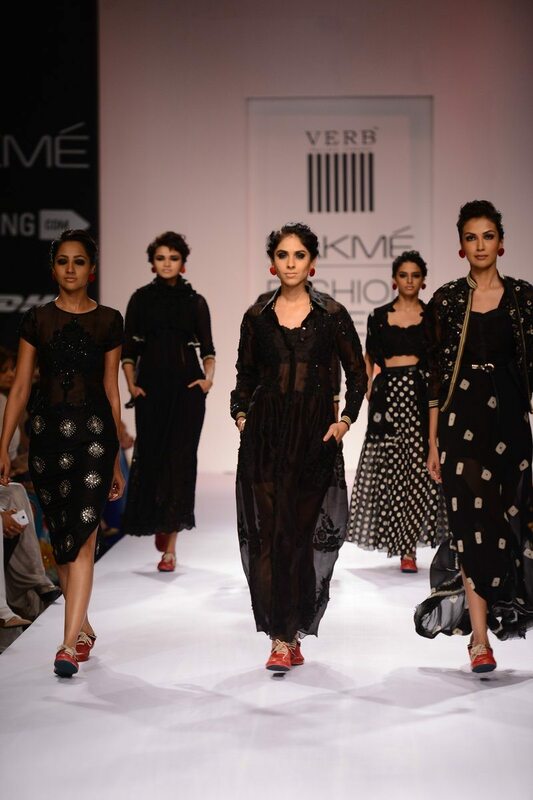 The final day of the LFW 2014 saw coveted Indian couturiers like Vikram Phadnis and Manish Malhotra showcasing their sartorial geniuses on the runway. 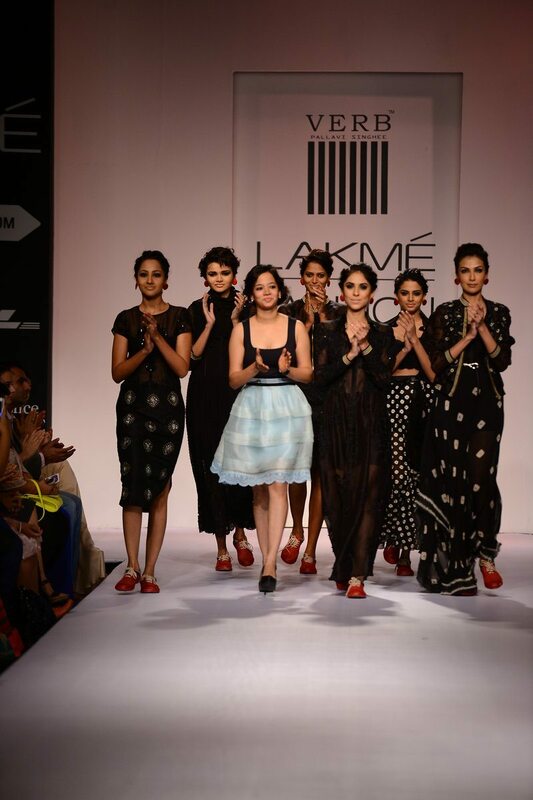 The LFW Winter Festive concluded on August 24, 2014.